co-written with Jan Adkins, Isabel Allende, et. al. 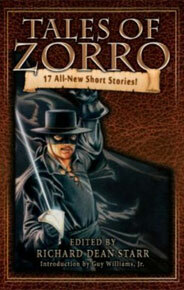 Moonstone Books is proud to present Tales of Zorro, a brand-new anthology featuring 18 tales of the fox — the first collection of original Zorro short fiction ever published! 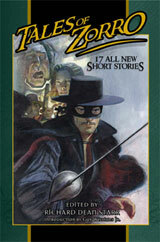 This landmark compilation, edited by Richard Dean Starr (Hellboy, Kolchak: The Night Stalker), includes all-new stories and essays by some of today’s top writers in film and literature.